Limitless specializes in niche areas of association growth to include but not “limited” to Certification/Certificate Program development, Accreditation Counseling, Membership, Non-Dues Revenue and Marketing . They offer custom tailored proposals only after evaluating your organizations full needs in detail. They can take a concept from design to implementation. They can develop a plan and train your existing staff on how to tackle and maintain the new solution. We can simply evaluate systems and offer detailed step-by-step solutions on how to execute your new strategies…as with everything they offer -your options are limitless. The Council of Manufacturing Associations (CMA) is made up of nearly 240 manufacturing trade associations that work together on behalf of manufacturing in the United States. Through their membership, the National Association of Manufacturers (NAM) provides knowledge, resources and a great network to help these association CEOs create a stronger and more prosperous manufacturing sector. The CMA represents every part of manufacturing in the United States and broadens the reach and impact of our industry’s advocacy efforts. Mary Byers is an association thought leader and the author of Race for Relevance: 5 Radical Changes for Associations and Road to Relevance: 5 Strategies for Competitive Associations. She co-presents on the CommPartners Road to Relevance webinar series and is a sought-after leadership conference speaker and strategic planning facilitator. As educators and continuing education professionals, we are in the business of changing brains. But does our course design take into consideration how the brain learns? Because of advances in the neurosciences, we have solved many mysteries about the learning brain and are laying down evidenced based strategies for learning under the interdiciplinary field of NeuroEducation. Let’s work together to create learning experiences that make a difference. 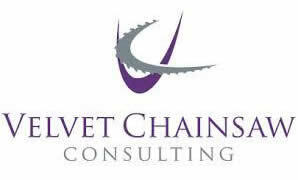 Velvet Chainsaw Consulting (VCC) is the leading choice for conference and trade show organizers interested in growing or transforming their major face-to-face events. We provide expert advice for designing premium education and networking experiences that result in increased loyalty and revenue. With a laser focus on the attendee experience, the VCC team will study and benchmark your business model and value proposition. Our member engagement studies show how changing members’ perceptions of your organization drive the behaviors you want – higher retention, more targeted new member recruitment, increased volunteerism, and predictable non-dues revenue. Our deep dive solutions include education needs assessments, which help clients determine preferred learning formats, content topics, the value of your current offerings, competitive benchmarking, and gap analysis. Higher Logic is an industry leader in cloud-based engagement platforms. Our data-driven approach gives organizations an expanded suite of engagement capabilities, including online communities and marketing automation. From the initial web visit to renewal and ongoing engagement, we help you track and manage interactions along each stage of the digital customer experience. Organizations worldwide use Higher Logic to bring people all together, by giving their community a home where they can interact, share ideas, answer questions, and stay connected. Everything we do – the tools and features in our software, our services, partnerships, best practices – drives our ultimate goal of making your organization successful. ASI helps your organization reach its financial goals and fulfill its strategic mission through a full-cycle process of continuous performance improvement. 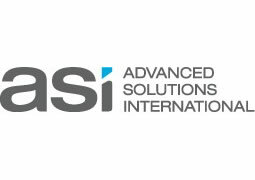 ASI’s best-practice approach focuses on Recruitment, Engagement, Measurement, and Growth leading to increased constituent satisfaction and lifetime value. ASI’s proven success model has been refined through experiences working as a trusted advisor to executive leadership teams at thousands of organizations like yours worldwide helping them to increase efficiency, lower operating costs, and grow revenue. ACGI Software develops and delivers cloud-based software for associations and credentialing organizations. The company’s Association Anywhere® association management system (AMS) and Certelligence™ credentialing management system are built on a secure, enterprise-class database platform. Highly configurable and extensible through integrations with web, mobile and back-office applications, ACGI has significant industry expertise gained from 20 years of working with some of the nation’s best-known associations and credentialing organizations. BadgeCert is the leader in digital badging/credentialing for training organizations, corporations, associations and universities. Our cloud platform enables organizations to create and issue ”BadgeCerts”—portable digital icons embedded with evidence that verifies an earner’s skills, credentials and continuing education experiences with a single click. Once earned, BadgeCerts can be shared with others on social networking sites, internal corporate profiles, email signatures, digital resumes or websites. Protech Associates, Inc. is the world’s first and leading provider of cloud-based association management software, powered by Microsoft Dynamics CRM. Founded in 1984, the company is anchored by a passion for helping associations and nonprofits shape a complete member experience. Protech’s solutions are a suite of proven, mature and feature-rich software applications that offer the unique combination of a world-class CRM technology platform and association-specific functionalities to help you more effectively manage your association and provide superior member services. Leadership Through Flexibility. Aptify is known and respected as a leading innovator of technology for association management. We facilitate change with our flexible component architecture. The inherent flexibility of the Aptify platform enables adaptability for each of our applications to match evolving business conditions, all without writing—or re-writing—code. Each application is fully configurable and always upgradeable. Personify, delivers software, consulting, interactive web solutions and cloud hosting solutions that help leading associations and other non-profit organizations optimize relationships to achieve sustainable success. Personify360 is the leading Association Management Software (AMS)/CRM platform, supported by the association industry’s largest community of integrated third-party application and solution providers. ClearVantage provides comprehensive association management software functionality as well as web content management, mobile applications, and social media integration to North America’s leading associations. 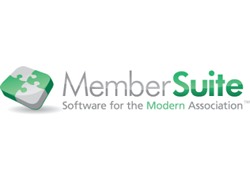 MemberSuite is the premier software & services provider of association management solutions. We harness the power of the cloud to deliver enterprise-class Association Management Software that enables modern organizations to accomplish every activity they need to serve their constituents. With dozens of modules, a fully-customizable platform, and a dedicated professional services team, MemberSuite is changing the way modern associations do business.